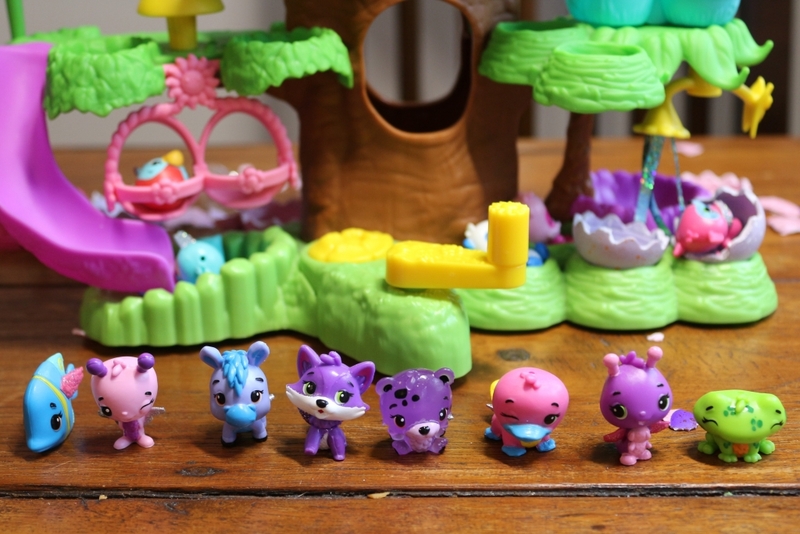 We have been fans of Spinmaster‘s Hatchimals CollEGGtibles for a while now. 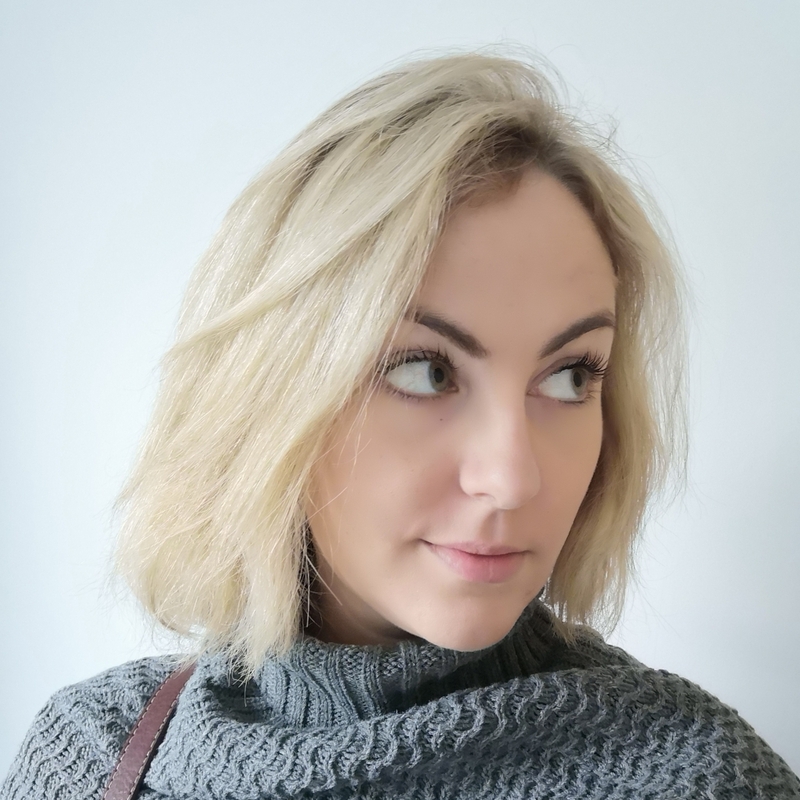 They were the first collectibles that my kids had, and the first ones they fell in love with; consequently we have a fair collection including the Hatchery Nursery. 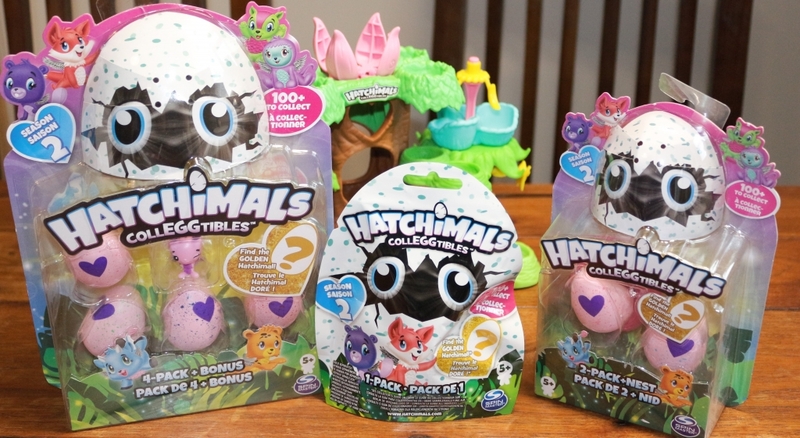 Hatchimals CollEGGtibles are a really cute little idea. Inside the blind bags which start at £2.99 each, you get a speckled egg which is ‘hatched’. Inside is a little Hatchimals CollEGGtible plastic bird/animal hybrid collectable pet! You can also buy bigger packs containing more eggs. 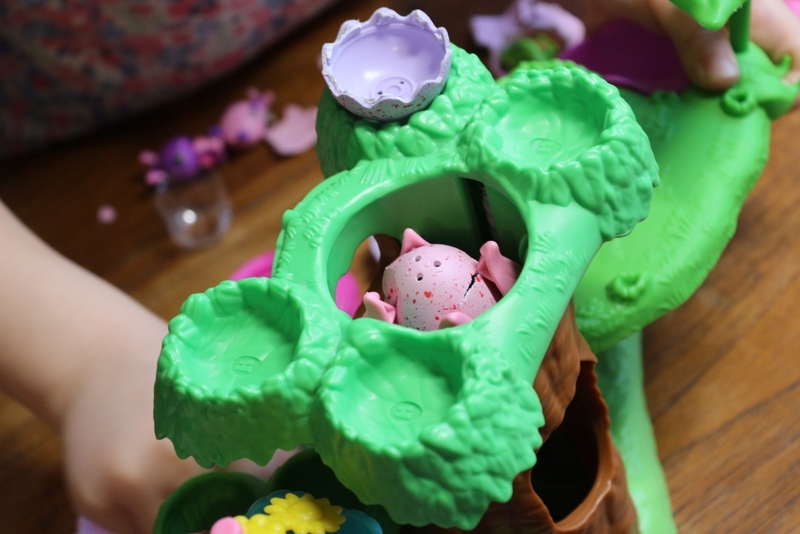 The colour of the speckles indicates where your Hatchimals CollEGGtible lives, but the contents are still a surprise. 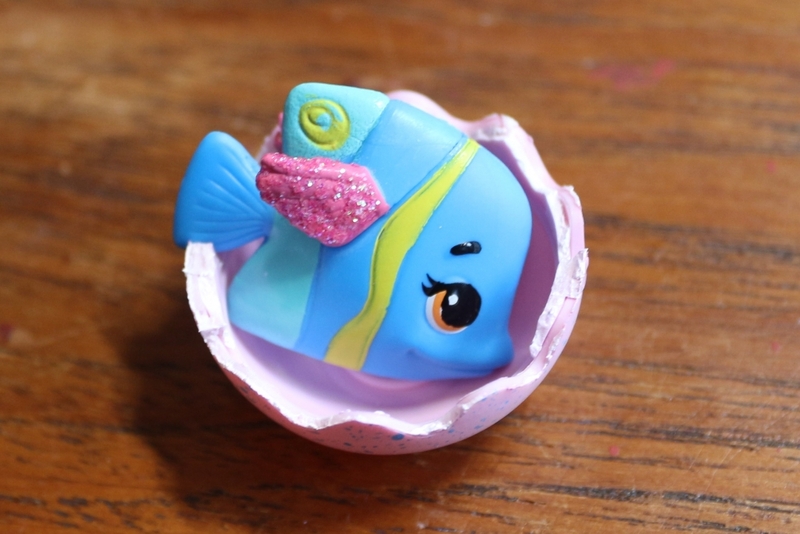 Spinmaster recently released Season 2 of Hatchimals CollEGGtibles so you can hatch a whole new world! 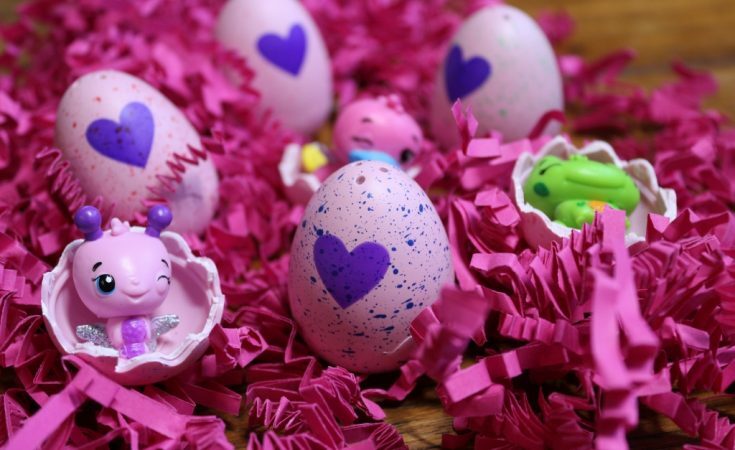 This time the eggs are pink (Season 1 were purple eggs) and we were sent some to crack open! You hatch the egg by rubbing on the heat-sensitive heart until it changes colour and removing the shell. Or, if you happen to have the Hatchery Nursery like we do, you can pop it in the top and wind the crank until the egg is cracked for you. 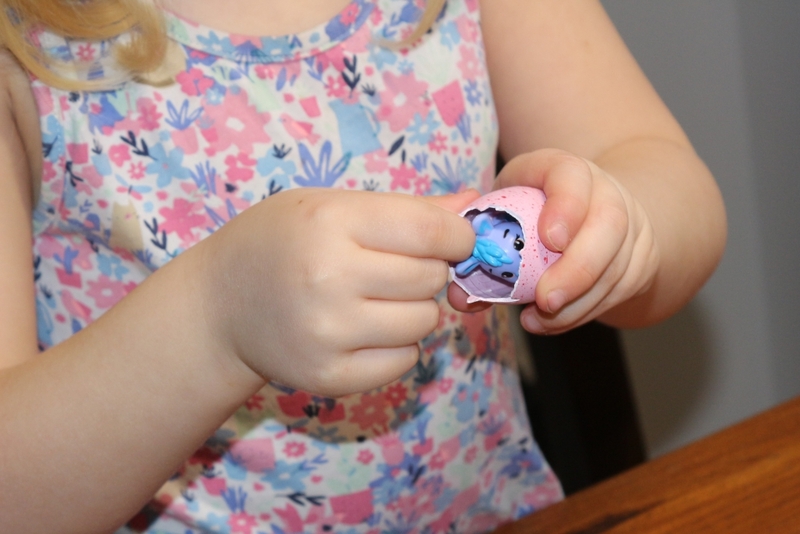 The synthetic egg shell can then be peeled back leaving a little base for the little Hatchimal to sit inside. There are over 100 Season 2 CollEGGtibles to collect. These are split into 11 types from different ‘areas’ which are denoted by different coloured flecks on the egg. This time there are two special edition collections, ‘Snowflake Shire’ and ‘Crystal Canyon’ and one limited edition range from the ‘Magical Meadow’ which have bright purple flecks on them. This time, there is even one super rare Golden Lynx Hatchimal, although you’ll have to be really lucky to find one as there are only 55 in total! However, if you do get a Golden Lynx then you will win a special set of 6 golden Hatchimal CollEGGtibles in a glittery egg carton, and a goody bag – so keep your eyes peeled! We had seven eggs to open in total, and I can tell you now that we didn’t get the Golden Lynx. 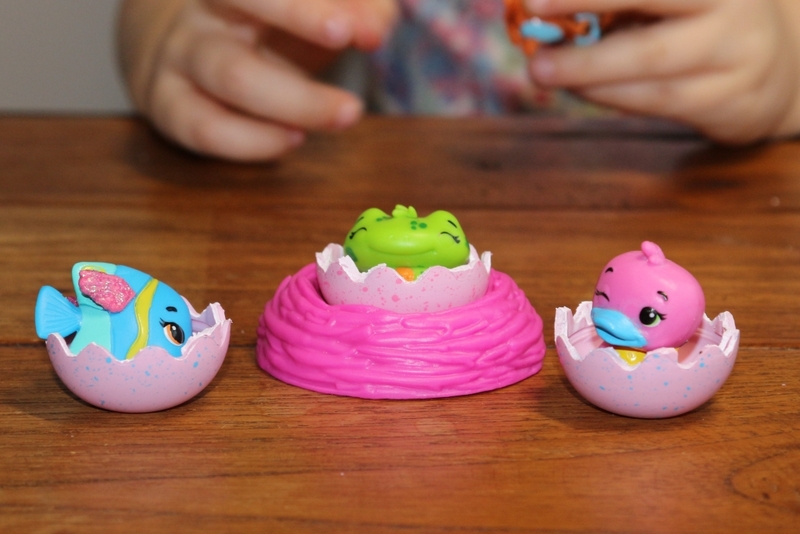 Here’s our Hatchimals CollEGGtibles egg hatching video! Our first little guy was my personal favourite, this rare ‘Figeon’; a fish with glittery pink wings. It struck me that he was very different to – perhaps a bit chunkier than – the Season 1 Hatchimal CollEGGtibles we already have which is great! We also got a rare ‘Frowl’ and a common ‘Platypiper’. Our full line up, including the seven blind eggs and the ‘Butterpuff’ bonus Hatchimal included 4 common CollEGGtibles, three rare and one ultra rare ‘Foxfin’. We’ve never had an ultra rare before; there are ten to collect in season two. To mark the second season release, Spinmaster have also released a new app. 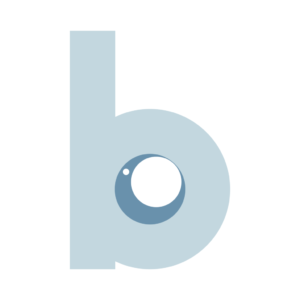 In it, you can explore Hatchtopia, see fun facts, play four little mini games and hatch eggs. You can log all your Hatchimals CollEGGtibles from seasons 1 and 2 in it. It’s cute and fun (although turn the music down unless you want a permanent ear worm) and best of all free! Search for Hatchimals CollEGGtibles on the App Store to find out more. 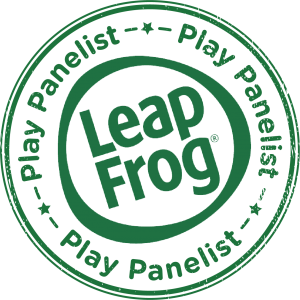 Look out for special multipacks being released in time for Easter! These Hatchimals CollEGGtibles Season 2 packets were sent to us free of charge for the purposes of this review, but all opinions are mine.